Newtown Square is a new commercial project being developed on a land of 3.075 Acres in Sector 95A, Gurgaon. This project provides good connectivity options through 135 meter wide Pataudi Road which connects the site with upcoming NH8, Dwarka expressway and Manesar Industrial area. Located 10 minutes away from IMT Manesar, this is a multiple use commercial complex having large showroom, retail shops, food court, multiplex, Hotel, Banquet, Conference Hall etc. It is an exceptionally designed project offering Retails shops on ground floor (Double Height) and first floor alongwith dedicated zones for Flea Market & QSRs. With excellent frontage, Newtown Square’s construction quality and strategic value is supreme. 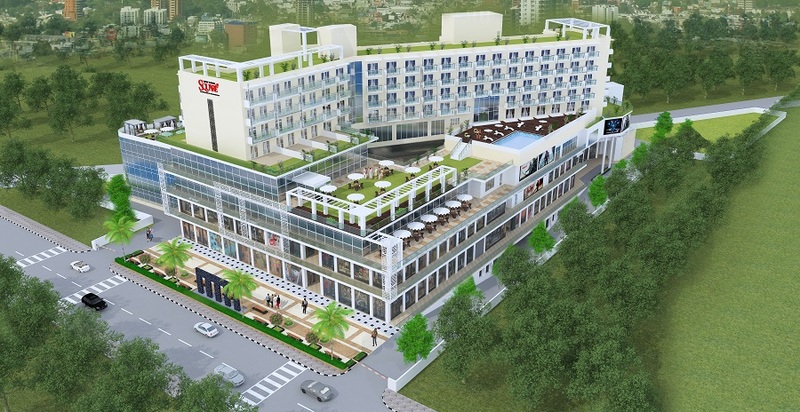 It provides various facilities such as 4 Floors for Retail comprising of A Hyper Mart, A fashion Anchor, Food Court, 4 Screen Multiplex (Carnival Cinemas) and a large Banquet and a 150 Room Premium Business Hotel (Best Western Plus) from 4rd to 8th Floors Developer has ensured that there is ample parking space by constructing 3 levels of basement parking with provision for stack parking + surface car parks having total capacity of approx. 500 vehicles. Located on one of the best locations, Newtown Square is a shopping hub with plethora of amenities and excellent architecture based on green building concept which uses state of art techniques. Newtown Square is coming up as revolutionary commercial landmark in Gurgaon for valued business ventures. This project has stylish interiors showing high-tech way to perform business. The stores are spacious and well-equipped with best convenience features. Newtown Square project is coming alive as it is based in vicinity surrounded by various Group housings and 3000 acres of residential development ensuring heavy footfall. Some of the major residential developments within the area include, DLF Heights, Vatika, Vipul, Bestech, Tulip & Siddartha etc. Developers have ensured that all Govt. approvals and licensing are in right place, so that customers can rely on developers without any inconvenience. The project is proposed to be completed shortly i.e. within the next 8-9 months.